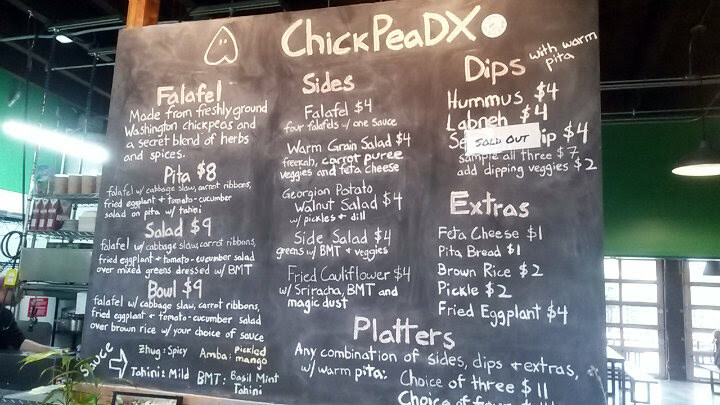 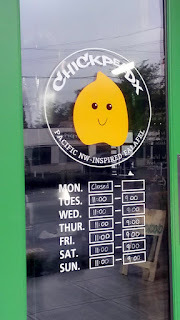 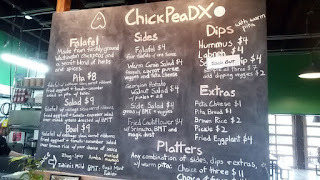 ChickPeaDX is located inside The Zipper food court (NE 27th and Sandy Blvd) in Portland, Oregon. 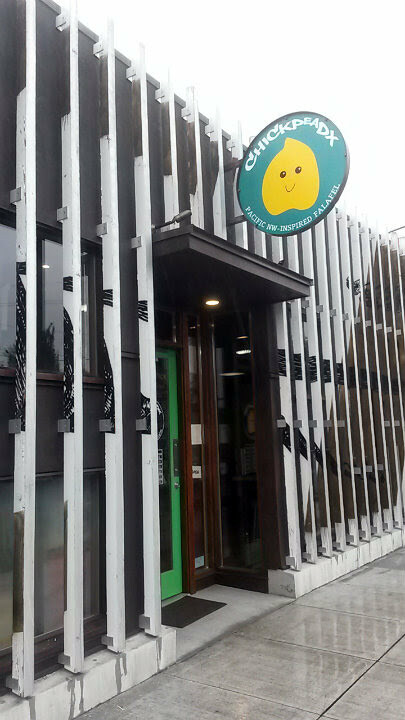 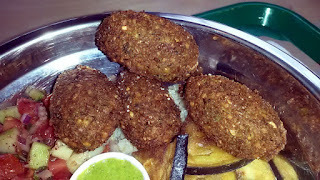 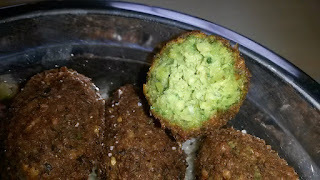 The menu here mainly focuses on the critically acclaimed falafel, made from freshly ground Washington chickpeas and a secret blend of herbs and spices. 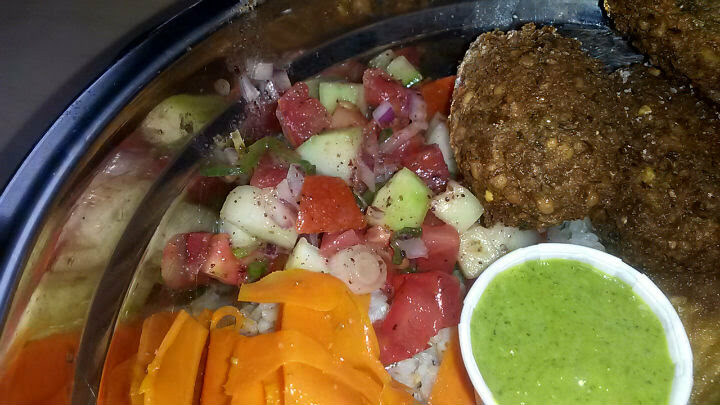 You can get the falafel in a pita, on a salad, in a bowl, or as a side dish. I ordered the Falafel Bowl ($9): four falafel, cabbage slaw, carrot ribbons, fried eggplant, and tomato-cucumber salad over brown rice, with choice of sauce. 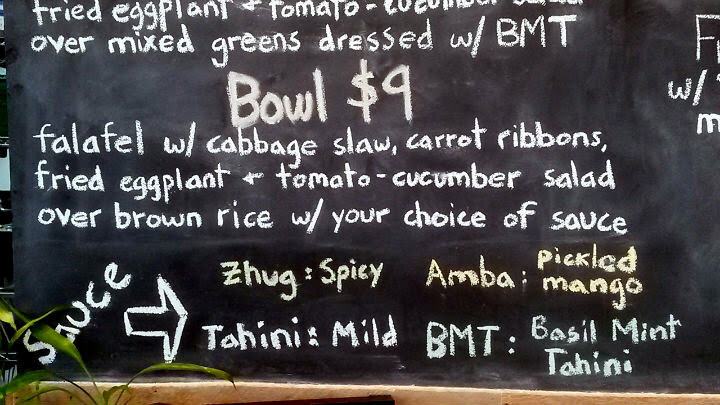 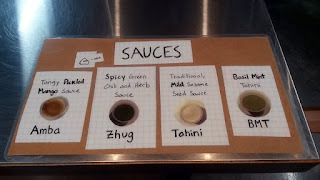 Of course, I opted for zhug, a spicy Middle Eastern hot sauce made with cilantro and parsley. 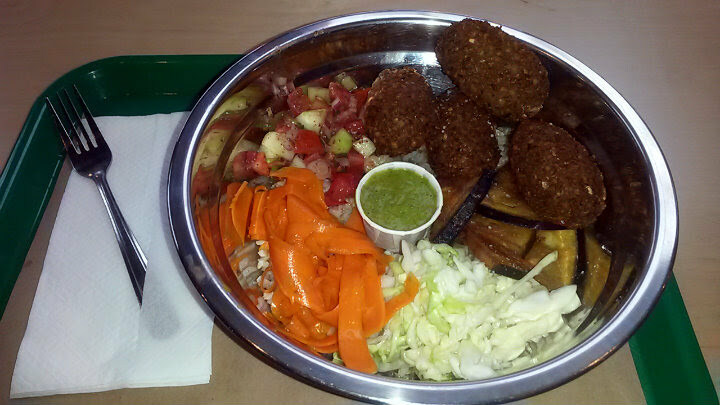 Several of my friends raved about this place, so I admittedly had some high expectations on the falafel. 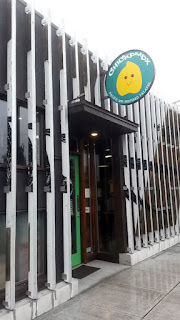 Still, it definitely met said high expectations. 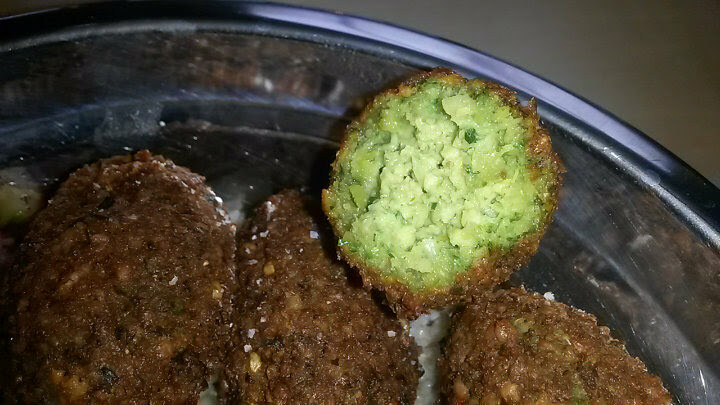 Crunchy on the outside, and softly packed to have that fluffy, delicate feel. 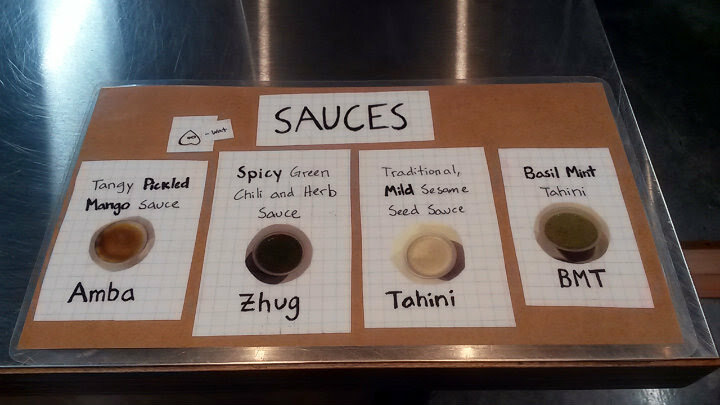 Good seasoning. 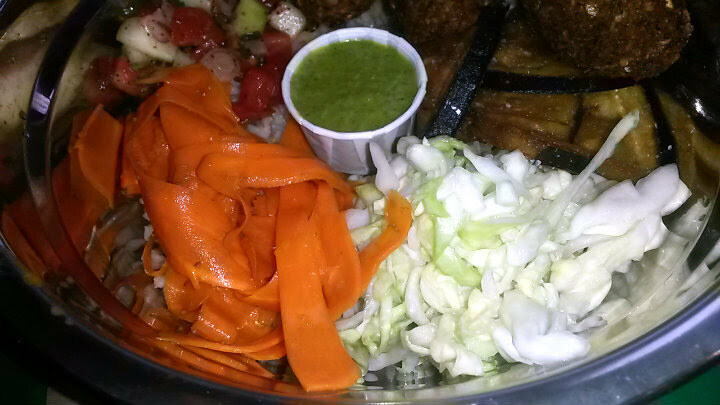 The vegetables were a big hit all around for that extra refreshing aspect. 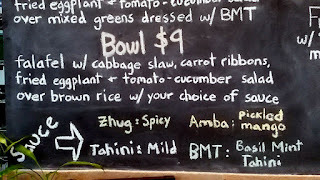 For next time, the glutton in me would probably request a bit more zhug. While the bowl here is awesome, I might even consider getting the Falafel Pita ($8) on another day, but also adding feta in the pita ($1 more) and zhug on the side.